AMAZON.COM and CDBABY ordered their 5th SHIPMENT of MUSIC TO DRIVE BY – STAN WIEST PIANO CD – Stan’s piano arrangements of the Great American Songbook. 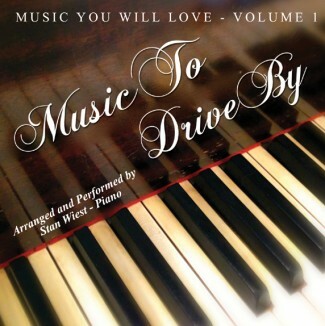 Amazon.com and CDBaby have placed a fifth re order to stock up on STAN WIEST’s new Piano CD “Music To Drive By” featuring Stan’s original piano arrangements of Great American Songbook standards with Stan on piano. Visit http://www.music-you-will-love.com for video of Stan Wiest playing Eddy Duchin’s piano which he owns. Great Songs from Cole Porter, Rogers and Hammerstein , Jerome Kern and others. This entry was posted on Wednesday, September 11th, 2013 at 12:38 pm	and is filed under News. You can follow any responses to this entry through the RSS 2.0 feed. Responses are currently closed, but you can trackback from your own site.